Brand restrictions. Higher selling fees. And FBA frustrations that seem to multiply overnight. When you focus on all of these things, the future of selling on Amazon can look pretty grim. Is it even possible to be successful at retail arbitrage anymore? Sure, sellers who’ve been in the game for a while are successful! They got in early and have an advantage over newbies like me. Why even bother anymore? I’ve heard your fears. I’ve seen your frustrations. I know it’s hard to imagine you can start a successful Amazon business when facing all of these obstacles. I’ll admit, brand restrictions even had me flustered. But it is more than possible to rise above these setbacks and create the lifestyle and income you want with Amazon. I am so excited you’re here today because I have a killer Amazon success story to share with you! In this post, I’m going to dive deeper into his success strategies with some actionable tips and tricks you can use in your own FBA business. His unique approach that makes sourcing trips more successful. Plus I have a free pre-formatted inventory spreadsheet to give you an edge in your business. 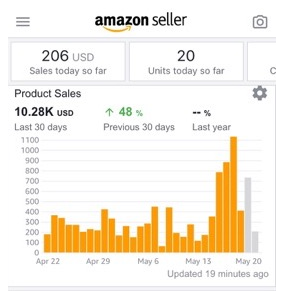 Whether you have been in the game for awhile or you’re new to selling on Amazon this post will show you what is possible, and offer practical advice to help set you up for success on Amazon. From the outside looking in, Marvin was blessed. He had a good job. His family wanted for nothing. But still, deep down, something was off. The idea of working a 9-5 job until he was 65 wasn’t something he wanted to do. So he started looking for ways to escape the system and supplement his income without adding a massive workload to his already busy schedule. Marvin wanted his wife to be able to stay home with their kids without worrying about income. He even dabbled with blogging and selling a financial newsletter. He had success with that, but something still felt off. He wanted a more passive source of income that didn’t require as much customer service. When he discovered The Selling Family’s courses, he knew it was worth a shot. He invested in the course in January, and even though the content was so simple and straightforward. He didn’t have much luck the first time he went to the store with his scanning app. He spent nearly 3 hours looking for inventory and didn’t find a single thing. From there, things got a lot harder before they got any better. Just a couple months after retiring, Marvin’s father passed away. No one saw it coming, and for Marvin, it was a huge wake-up call. We are taught to work a job whether we like it or not until we’re in our 60’s. After we reach that “magic age,” then we get to enjoy our lives and loved ones. But is that the only option we have? Is it possible there’s a way to make money, and get to enjoy our lives now? After losing his father and welcoming his third child into the world soon after. Marvin set out to make his Amazon business work so he could live life to the fullest with his wife and kids. So in the middle of March, Marvin put his head down and hustled. He was only looking to add $500-$1,000 extra each month. He never imagined the possibilities that would open up to him in such a short time. Sourcing was tough, but Marvin developed a unique strategy that made growing his business a lot easier. Don’t believe me? Here is a screenshot of Marvin’s current Amazon stats. Look at his numbers for the last 30 days! What is Marvin’s secret to success? Any Amazon seller loves those big numbers. Super low sales rank. Big fat ROI… you chase them down with a passion. But Marvin had a different approach. You ready for his criteria? Marvin has built his whole business on low ranking items with at least a $2.00 profit, and 20% ROI. He didn’t waste time chasing big numbers when there were items on the self he could turn around quick at lower margins. That may seem like a waste of time, but with a background in finance, Marvin couldn’t pass it up. He looks for items that sell within 30 days. He turns over a bigger volume of lower margin items to put money in the bank quick. Because of the nature of the beast, I think it’s easy to get a little spoiled when you’re doing retail arbitrage for FBA. If you can find a good amount of 50%-100% ROI items, have at it! But the truth is, it can be a lot harder to find those kind of returns consistently. If you are unfamiliar with the stock market, people who see a 10% return over the course of a year are getting a great deal. But when you can turn over your investment in 30 days or less, you will build a reliable business that consistently grows 20% or more every single month. Sure, we all love to see 75%-100%+ returns, but for a lot of people, it’s hard to replicate those figures regularly. Items with lower margins are easier to find, are most likely to be found at regular price in stores, and you can normally find them in higher quantities. So you can lower your criteria for inventory, and still see the success you’re looking for on Amazon. Amazon has over 360-million products listed. And that number is only going up. Out of all of those products, there is a place for you. If you think toys are the only way to go, think about expanding into other categories. It may be out of your comfort zone at first, especially if you venture into the world of clothing and shoes. But it’s worth the effort to find the categories that work best for you. For Marvin that category is Grocery. Once he got ungated, things took off for his business because he already had a background in couponing. He already knew how to find great deals in grocery, so finding items that fit his criteria came naturally once he got over the initial learning curve. Finding a profitable niche isn’t just for private label products. It’s an important part of retail and online arbitrage too. What categories have you not even considered yet? Look at your personal experience to find your own profitable Amazon niche. If you love finding great deals on clothing and shoes for yourself, don’t let the confusing ranks scare you. Experiment with the categories for your business and get a feel for your own comfort zone. If you love video games, maybe that would be a good category to play around with. Even the most unexpected categories and niches can mean consistent profits for your Amazon business. I know of male sellers who will scan everything in feminine hygiene and incontinence sections. They’ll fill carts full of profitable items in those niches because a lot of people will pay higher prices to buy these types of products discreetly online than in stores. What knowledge and experience do you have that can be leveraged into a profitable Amazon business? Do you ever feel like you’re doing something dishonest or wrong when you’re sourcing inventory? While it’s true that some company’s (Target. I’m looking at you!) aren’t the most reseller friendly. You never know what business relationships you could be missing out on if you try and hide your business. How you’ll be received by management can vary from location to location. Marvin has built relationships with store managers from the start, and now they are happy to see Marvin come in. They even offer him better deals to clear their shelves. So how do you start to establish those relationships? When people ask why you buy so many strange items, be upfront. You don’t have to give them all the confusing details and make sure to use a little common sense. But genuine curiosity from staff about what you do is a great opportunity to build relationships. When someone asks why we are buying a lot of strange items, my favorite explanation goes something like this: “I run a little online resale store with my hubby. We sell things that people may have a harder time finding in their area, and even donate items to charity if they don’t do well in our shop.” Most people are happy to play a part in helping you in your business. Keep a file of names. When you hit up a bunch of retail stores, it’s easy to forget who you have made a connection with. But when you encounter someone who is helpful to you in a certain store, find out their name and make a note on your phone. People love hearing their own names, and it can help establish rapport when you are on a first name basis with employees, supervisors, and managers. Don’t just reach out to the big dogs. Of course befriending management and supervisors is a smart move, but don’t overlook the employees who work under them. Cashiers, stockers, and even janitorial staff can help your business too. Whether it’s patience and understanding when you need to divide your purchases into separate transactions, or letting you know when they’ve just stocked new clearance items, when you treat employees with respect and honesty, more often than not, they will want to help you out. Practice common courtesy and respect. I try to leave the areas where I source, in better shape than I found them. I know a lot of clearance aisles are already a wreck. And if you have kids it makes things even more challenging. But do you think employees will be happy to see you if you leave a mess for them to clean up every time you come in? Put non-profitable items back where you found them. Teach your littles to do the same. If you see a grocery item in the toys and you are going to that section next anyway, why not put it back where it belongs? If your kids get rowdy while you’re sourcing make sure to thank staff for their patience. These little gestures will go a long way. It takes time, and a little extra effort, but if you make it a point to treat staff with respect and honesty you never know when they’ll pitch in with useful tips or let you in on some special deals. Go to a store and only worry about finding one item with at least a 20% profit. Once you find that item, pick up your phone and call another store to see if they have that item in stock too. If they don’t, no worries! You saved yourself a wasted trip. If they do have more of that item, thank them for their time, and make a note to go pick up the rest of the items. If you're still not sold on Marvin’s profit margins, think about the math for a second. You spend an hour or two to find one item that will make you $2.00. For this example, let’s say they have 2 in stock. In 5-10 minutes, without even leaving the store, you find 15 more of that item. Total profit: $34.00 for less than 3 hours of work = $11+ an hour. And that’s only if you find one item. Think of the possibilities if you find a handful of items in that timeframe. Say you find 3 items at a $2.00 profit. After calling around, you find 30 total items in stock. Profit: $60 or $20+ an hour. If they are regular priced items, you are really killing it! You have a replenishable source of inventory that will consistently put money in the bank, month after month. It may take some time upfront to find these items, but after you do, the process is nearly effortless. You can source those same items over and over again in just the time it takes you to go pick them up at the store. Anytime Marvin finds a replenishable item that fits his criteria he plugs it into a spreadsheet using Google Drive on his phone. He has access to this spreadsheet anywhere he goes. This acts as a master list of inventory that makes sourcing easier and more effective. 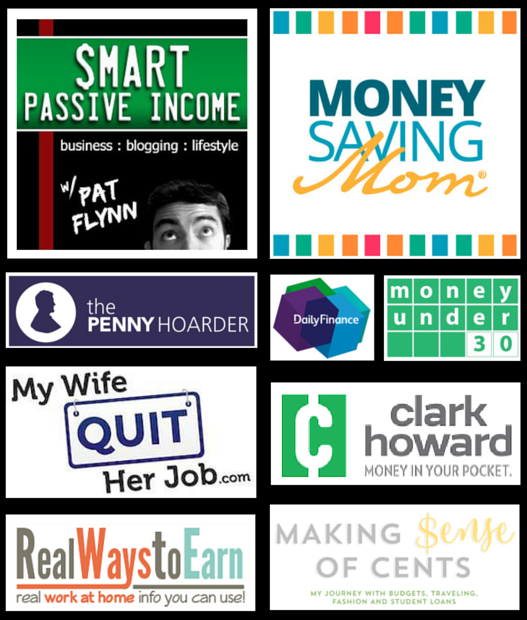 His goal is to build his spreadsheet up with enough replenishable items for $10,000 of regular profit each month. If you haven’t used spreadsheets before, they can be a valuable tool for your business. Like anything, there’s a learning curve, but once you master inventory spreadsheets, you will grow your business faster than ever. After our interview, I reached out to Marvin so I could learn more about his spreadsheet. He shared all of the crucial information needed to create a profitable inventory spreadsheet. And I’ve made this process even easier for you! Using Marvin’s insight, I’ve put together a free inventory spreadsheet for you to use in your Amazon business. Here’s a little sneak peek! This spreadsheet is already preloaded with a special formula that takes your profit for each unit and estimated monthly sales to figure your estimated monthly profit for each individual product. 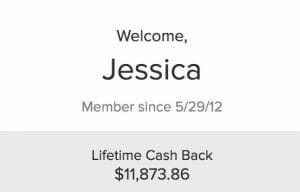 Plus, I’ve also designed it to take all those numbers and give you an estimated monthly profit for all of your products combined! We have emailed a copy of this link for you. But you can get instant access here. Grab a copy of the spreadsheet that Marvin uses to keep track of all of his replenishable items, when you sign up for our newsletter today. Thanks for subscribing! Enjoy the spreadsheet. So if you hate math, this spreadsheet does all the calculations for you! I even have some handy links and detailed instructions built right in for you on another tab in the sheet. How does it get any better than that? If you want to get your copy, just fill out your name and email below. Feel free to adapt, change, or add to this information to fit your business. Download Google Drive on your phone for instant access to your spreadsheet when you’re out sourcing inventory. What if you could create the lifestyle and income you want, without sacrificing a bunch of time away from your family? If you don’t want to wait until your 60 to enjoy your live and be with your loved ones, you don’t have to. It doesn’t matter if you’re 25, 45, or beyond, you have the power to revolutionize your life. It’s easy to fall into the mindset that there are too many obstacles for new sellers to make it on Amazon. I hope Marvin’s story has shown you that you can build a successful business on Amazon despite these hurdles. There is no substitute for putting in the time and effort it takes to create your own business model, but there is a way to set your business up on a solid foundation right from the start. 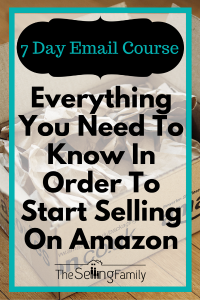 If you are struggling in your Amazon business, or if you want to get started but aren’t sure how The Selling Family is here to support you in your journey. For Marvin, it all started when he took a leap. He didn’t just buy a course; with Amazon Boot Camp, he invested in his future and the future of his family. That move radically changed his life for the better and opened up a whole new world of possibilities. 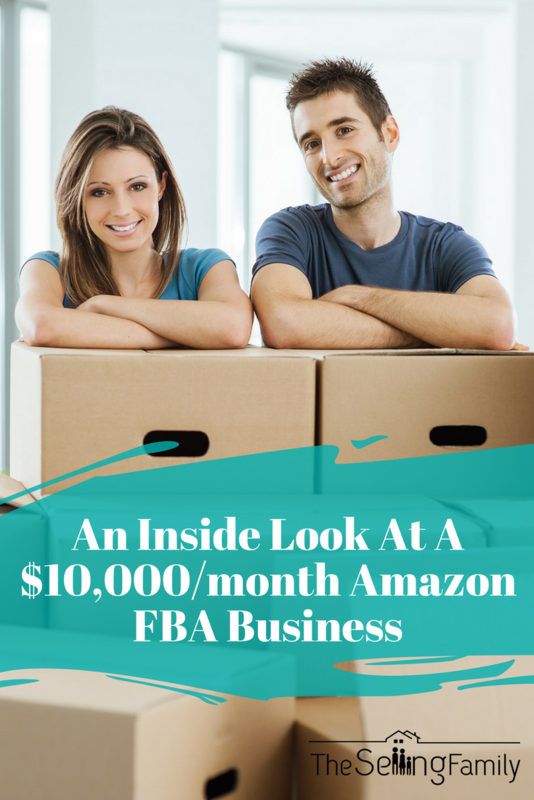 If that sounds like something you want to learn more about feel free to click this link to learn more about Amazon Boot Camp and how it can set your Amazon business up on a solid foundation. Maybe I’ll write your Amazon success story next! I hope Marvin’s story has inspired you to take a leap, and start your own life-changing journey today. And don’t forget to grab your free copy of The Selling Family’s Inventory Spreadsheet! Interesting approach that he’s taken and glad you shared this article to inform others of using a different strategy with a lower ROI. That being said, I find the this article misleading…it gives the impression that he grew to $10,000 in profit after 4 months. Deceiving people with a title doesn’t look good. Being that it does not say “$10k per month PROFIT” I don’t think it’s misleading as it is a $10k business. Hi, you can check out this post about getting ungated. He and I have similar business models. When I started, I followed the x3 pricing. But, with everybody else doing the same thing (at least, it seems like it), I changed mine. I started sourcing and sending groceries that are listed but are not available on Amazon. Most of them have $2-$3 profit. While I am nowhere near making 10K in sales yet, I am hoping that by the end of my first full year selling, my sales would be at least half of my monthly salary at my current job. That’s great. It’s always important to adjust as needed to find what really works for you. I am new to RA and have recently begun trying to find products at my local retail stores using the Amazon Seller App but I keep running into restricted products (especially) in toys. Will some of these categories open up to me as I’ve sold more items on Amazon or do I just need to keep looking? I am so inspired and intrigued by this process but I feel like I keep running into a brick wall in finding products to list! yes, some of the categories will be able to be unrestricted. If it is a brand restriction, then the approval process is a little different. I recently started Online arbitrage and I am leveraging Source Mogul on your recommendation. I do really like it! My question for you is– While researching a product, I look at number of sellers. It looks like Amazon is also selling the same product as a FBA seller. Is that something I should avoid? I am worried about amazon being a seller as that makes me think they will have a high supply and as a small seller I don’t stand a chance against such a big/resourceful seller. How much profit he earned? Marvin stated around a 20% profit margin. Nice read but it’s somewhat misleading. That 20% profit is dramatically reduced by exhorbitant FBA fees. Thanks for sharing this. We’re getting ramped up with knowledge and hope to jump in soon. A little scary. I believe he did over 100k for Q4. I stumbled across your interview a couple of weeks ago on Making Sense of Cents and really want to start RA on Amazon but I can’t seem to find a clear cut answer as to whether or not it’s legal and/or allowed. I keep reading about sellers being suspended or shut down. Am I wasting my time? Have the rules changed recently regarding this? This is still a very viable business model and people are getting started every day! Suspension is something that is talked about more than it actually happens to the average seller. Great interview. Alot of helpful info and the message was just inspirational in general. Staying inspired and hopeful is so important in this business. Thanks for sharing. This is so very inspiring to me Jessica. I really appreciate how you all share so much and so many good ideas. Thank you for being here to teach us! Great story and very inspiring. It’s my understanding that $10,000 in sales is approximately $1,500 in profit if the average Roi is 20%, since az takes their 30%. Is that about right? It’s a nice little side business since he’s still keeping his regular job. Working his regular job and the side business really forces efficiency, great job!. I’m curious how many hours he has to Source inventory since he’s also still working ? Marvin does use a lower margin business model than others in the business. So, for some the profit would be higher on $10,000 in sales. It really depends on personal choices when buying inventory. I am thankful for the spreadsheet you posted. I am wondering how to get it to do the math for me. Are the formulas programed in already? I typed in values A-G, I and J. Am I correct in thinking it will figure the rest out? Thanks again. Hi Jessica, that was a really great interview. What BSR is Marvin working to, to get his approximate 4 week turn around? I stumbled upon your site and was so excited thinking of trying a home business and perhaps add blogging later. I’ve been reading alot about your story, Jessica. Both your and Marvin’so inspiration and insight are about to push me past the fear and sign up for ABC. I’ve been wanting the freedom this can be. Thank you! Thank you for this post. I wonder if it works in other countries. I follow your blog from Poland and would like to see how it works in our country. I don’t know where to start, what kind of product should I look for. Do you have to open a company to start a business on internet? Awesome story, thanks for sharing! Really inspirational for sellers, especially newcomers that this avenue still has incredible potential for a better life going forward and then some. Thanks again! I have been wanting to have my own home business and start a possible blog. Now after reading this I really want to start an Amazon business. Can’t wait to get started. Awesome Sabrina. You could totally do both 🙂 A lot of people start with Amazon because it’s faster than a blog to make money initially. Then add a blog for fun. This is great! I love hearing stories like this. Thank you for sharing! Thank you for sharing! We will be starting the bootcamp soon, so it’s nice to hear an encouraging story. Awesome. Glad to have the opportunity to work with you, and can’t wait for your success story! Great post! I was feeling bad looking at my sales and seeing 38% ROI. Now I feel a lot better about continuing to source those products and build that way! Hi Kimberlee, Marvin uses the Fulfillment By Amazon program, which is what we teach in the Amazon Boot Camp course. Great interview – very inspiring! I really like the way he looks at even small amounts of profit multiplied by many sales per month can really add up. It’s also inspiring me to try to get ungated in grocery, which I haven’t done yet. Thanks! You’re welcome. Glad you found it inspiring and got some ideas for your own usiness. I am so thankful for everyone that shares their success stories like Marvin and for you Jessica and Maureen that always attempts to turn negative comments into positive solutions to get better results for all of us. Many of us are struggling, myself included but I’m not giving up. I just keep forging ahead, baby steps at a time. Thank you Anita! Keep going, you’ve got this. I have been trying to list my book on Amazon since March 2017 so that I can start selling it. Each time I try, I get a little further or are pushed back to the beginning. My situation is different in that I will be selling my own writing, not somebody else’s products. I’ve followed their instructions to the letter without succession. There must be a secret to doing this. Hi Rosa, sorry that I do no have any experience with publishing books on Amazon. What I teach is buying products locally, and then reselling them on Amazon. Rosa, some trustworthy experts who teach about Kindle books (and can be found through Google) are Daniel Hall, Jay Boyer, John S Rhodes, Kristen Joy (at TheBookNinja…dot…com) and her husband Tony Laidig. Teresa Miller, of FreeStyleAuthor (dot) com, offers her own and others’ courses and also provides editing, formatting and (I believe) uploading services. There are also lots of videos on YouTube. I uploaded one short Kindle book, during a weekend challenge and then removed it later for updates. I’m sure you’ll find success soon. Best wishes. Thanks for sharing those resources.